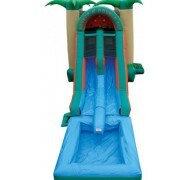 Enter the tropics with this water slide! It’s perfect for a fundraiser or other event. Inside are a basketball goal and jump area, with a double water slide off the front. 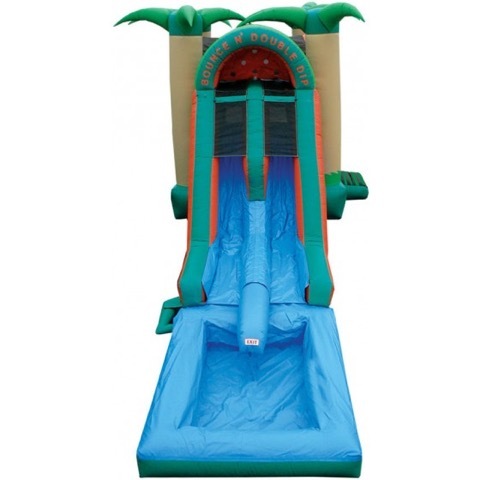 This inflatable slide is also available as a dry combo slide; see the Related Products below. 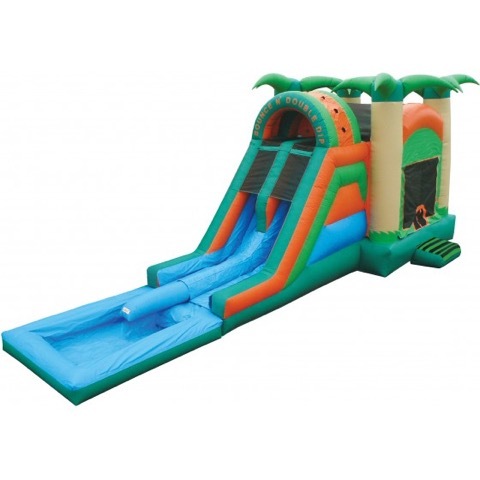 Dimensions: 38ft L x 13ft W x 18ft H. Accommodates 10 to 15 kids.